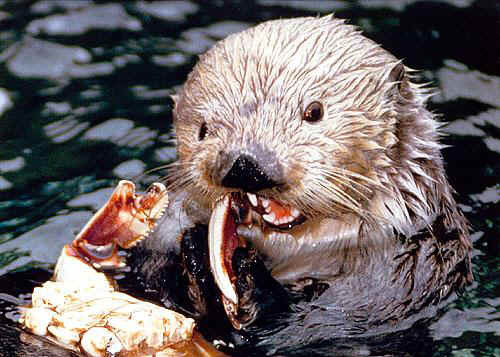 I've always thought otters were pretty cute little critters. 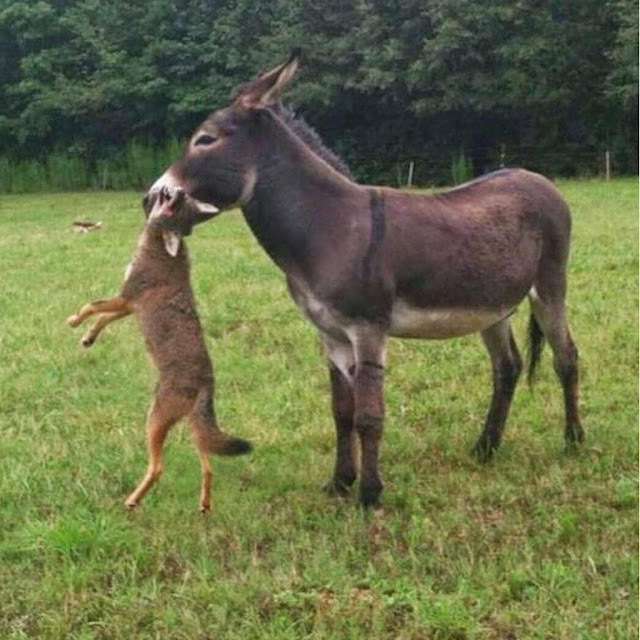 They are just so lively - they jump and dive with such wild abandon - they are also known as mischievous buggers to - the Zoos that sometimes hold them have a devil of a time trying to contain them! So, the drill here at Animals Eating Animals is to show pictures of exactly that, and today it's otters eating eating crabs and other bounty from the sea. 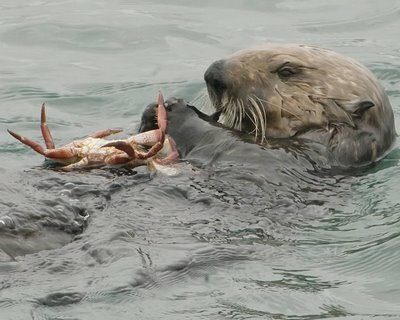 Above is a dead cute otter eating a crab that he managed to snaffle from the ocean floor. 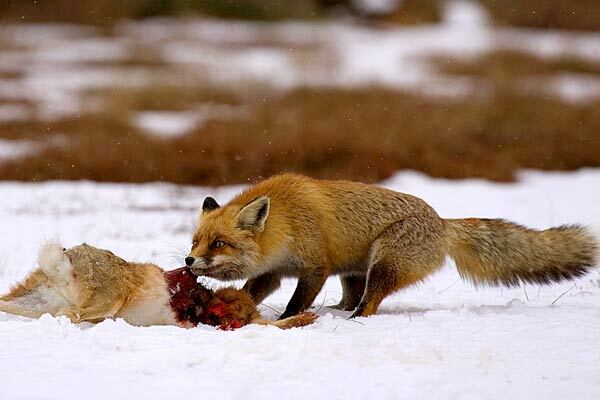 The crab gets eaten whole - it makes me wonder if they would enjoy dining on some sushi? 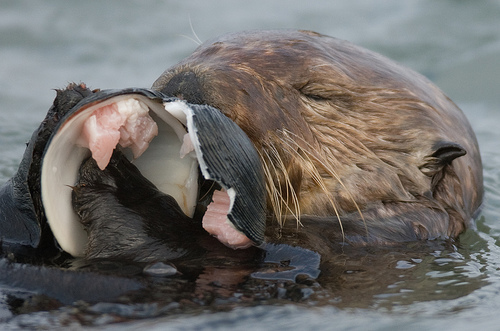 Below is an otter hogging out on a clam. How do they get to clam meat you wonder? 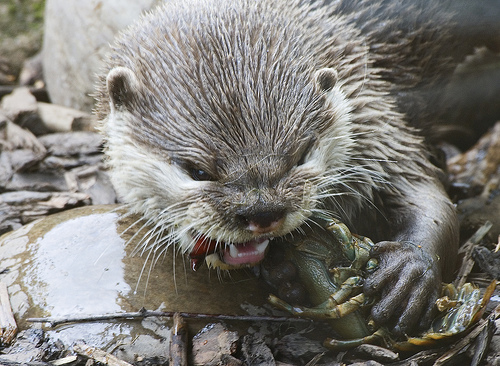 I recall seeing a documentary once where the otter grabbed a stone and whilst floating on its back, it smashed the shellfish onto the stone to crack it and let the tasty food out. 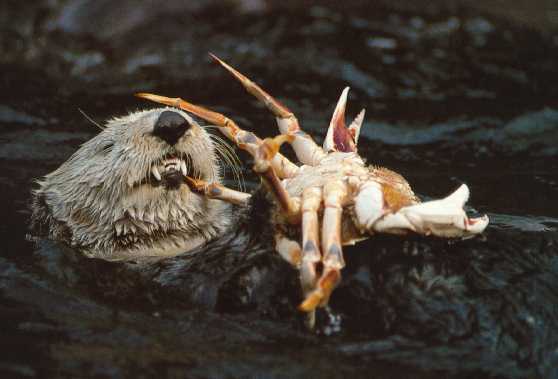 I'm not sure if the below otter did this or simply used it's jaw or claws to prise the clam open. Is it me or does that above otter look kind of like an Ewok from Return of the Jedi ? 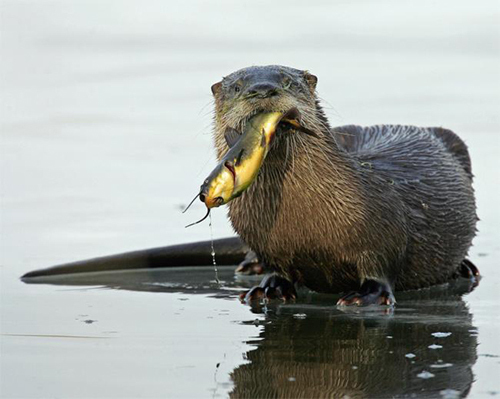 Fish is also a large part of the otter's diet. 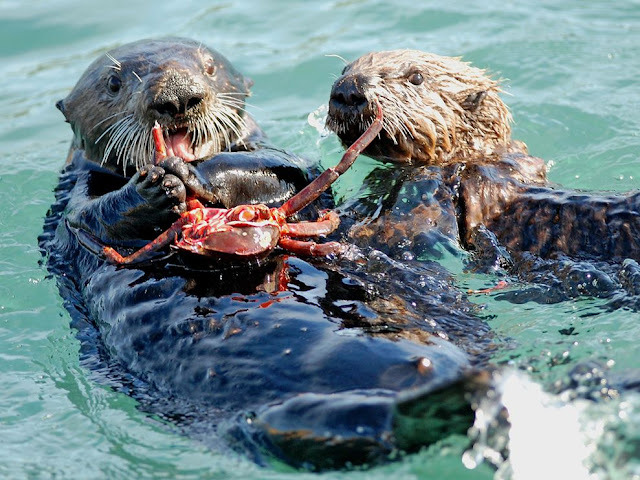 Not all Otters have the luxury of living in the wild, eating whatever crustaceans they can get their sharp little claws on. Some otters were silly enough to get caught by humans and put into zoos. There's some cute little bastards at the Wellington Zoo for instance. Once those otters are detained, they need to be entertained or they go nuts and try to escape. 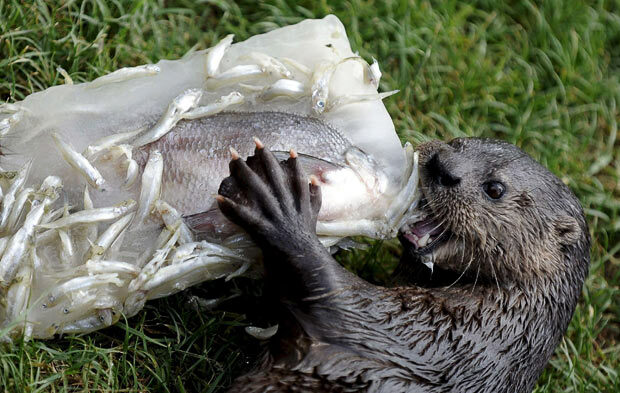 So here's an example of what Zoos do to keep otters interested and active. 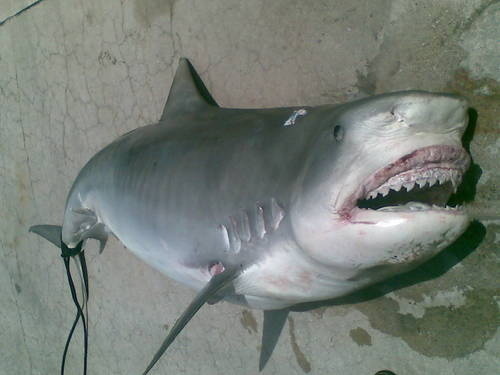 They give them fish that are frozen in blocks of ice. At the very least, it's something to pass the time away while visitors to the Zoo oggle the otters and say things like 'Owww, how cute!"